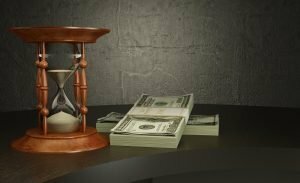 Debt can be seen as a dirty word in today’s society, which is silly because most of us have at least some debts, whether they are student loans, credit cards, mortgages, or car payments. However, having too much debt can put an unmanageable strain on your finances and can cause all sort of chaos in your life. That is why we have come up with the following simple strategies below that can help you get out of debt. Read on to find out more. If you are going to aim to reduce your debt or even become debt free, you will need to have a firm understanding of interest rates and how they work. Interest rates are the percentages on the original amount you have borrowed that a lender will charge you. What this means is, apart from the cost of the item or loan that you have on credit, you pay an additional fee that is worked out on what you still owe each month. Of course, the higher the interest rate, the more you will end up paying, and that is what it is essential to pay off those debts that have a high-interest rate first because you can save yourself more money. Also, it’s a great idea to avoid taking out any debts that offer extortionate interest rates in the first place. A particular example of these being payday loans which have been known to charge over 1000%! Next, if you want to stay out of debt in the long term, it can be a good idea to get a better paying job. After all, more money coming in means you can maintain the same lifestyle and save or invest the rest. Of course, promotions aren’t just handed out for long service, and you may need to invest in some specialist training courses like this online msn to ensure you are eligible to climb the ranks. Luckily, with the abundance of online courses, you can continue to work while you study and therefore the impact on your debts won’t be too significant, especially when you consider the financial trade-off that will come your way in the long term. To start to get out of debt, some folks take this advice literally and actually put their credit cards in water and freeze them into a block of ice. Something that stops the owners being able to use them for impulse buys, as they have to go through the rigmarole of defrosting the card, and hopefully this time will be enough to decide whether they want to buy the product or not. Creating a budget and sticking to it is another way to start on the path to a debt free life. 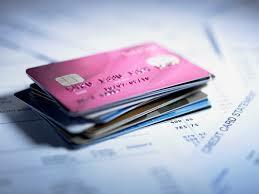 Of course, there is another way to do this and is to agree that you will not spend any more money on your credit card. One thing in particular that can help this is to remove all of your credit details from any online stores like Amazon. Also, you can leave your cards at home when you go shopping, and don’t forget that you can refuse a credit limit increase if you contact your provider, so there is less temptation to get into further debt. Check out some of our other tips and tricks to reduce your debt and avoid lifestyle inflation at the same time. Here are some of our free tools to get you started on your journey.